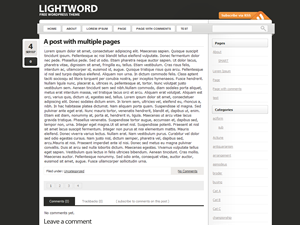 Simply clever theme with two or three columns, adsense support, fixed-width, widget-ready and threaded comments. Compatible with WordPress 2.9 and above, valid XHTML & CSS + WP3 ready. Previous: Previous post: How to reset your WordPress admin password?